Nashville Football Club (NFC) was founded in 2013 as a fan-owned club, a rarity in North American sports. While the club has ascended from tier four (NPSL) to tier two (USL) and changed its name to Nashville Soccer Club over the past five years, the intent to be a supporters driven club is still core to what the club stands for. 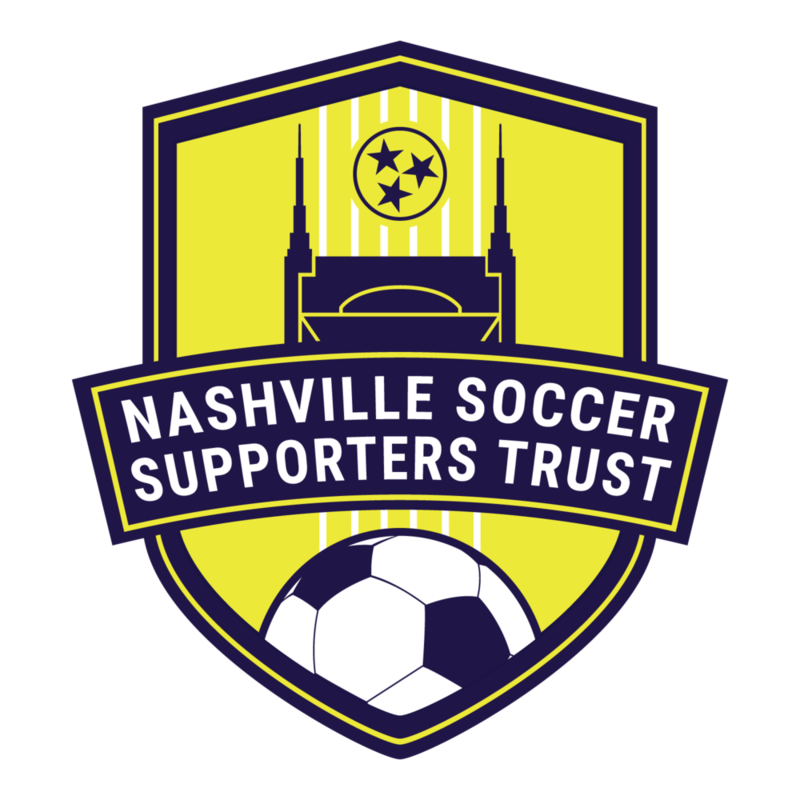 Nashville Soccer Supporters Trust holds 1% ownership in the club, with the expressed purpose of giving all club supporters a seat at the table with club management and ownership. The expectation of the Trust is that it will attract, rally and mobilize Nashville's soccer supporters to go out into Nashville and leave an indelible mark on its communities. To be the voice of the fan with Nashville SC ownership while partnering with the supporters in their efforts to promote Nashville SC, local soccer and the community welfare. Every fan and the community at large feels like a stakeholder in the Club. Recognize the rich cultural mix that makes up Nashville and believe that Nashville SC and the community are enhanced by embracing this diversity. Seek out opportunities to work closely with the supporters, Nashville SC, and other like-minded organizations for the benefit of the fans and our community. Manage our affairs with the highest level of honesty and transparency. Conduct ourselves in a way that presents the Supporters Trust and Nashville SC in a positive light. Click here to access NSST Bylaws, as adopted by the Trust in the spring of 2018.